Lincoln Memorial Steps in Washington D.C. Traveling to a new city can bring a lot of logistical concerns and worries to group trip leaders. To set your fears at ease, read on to find out what you need to know before you visit the District of Columbia. Washington, D.C. offers visiting student groups an opportunity to expand upon what they have learned about the country in their history and government classes by experiencing for themselves the city that houses the buildings, people and monuments that shape the nation. Consider these five tips for visiting D.C. that will enable you and your students to make their time there both transformational and informational. 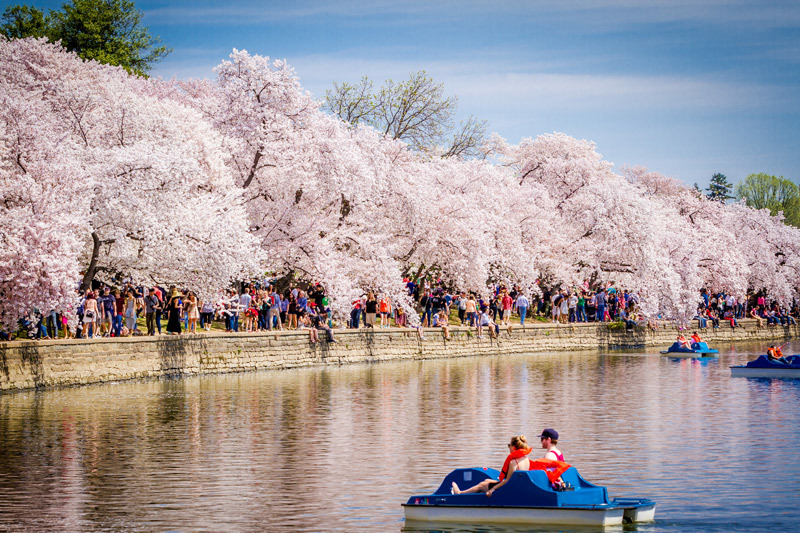 In-Depth Articles On Washington D.C.
Due to its Mid-Atlantic location, Washington, D.C. experiences all four seasons without the extreme temperatures and snowfall that nearby Northeastern cities receive in the winter. Peak tourist seasons are in spring and summer, kicking off with the annual Cherry Blossom Festival in late March/early April to celebrate the blooming of the 3,000 cherry trees that the city was gifted by the mayor of Tokyo. Spring draws an influx of visitors who come to admire the city’s beautiful architecture set as a backdrop to the exotic light pink blossoms. Visitors are discouraged from visiting in summer, however, as the city gets humid and sticky and the crowds grow bigger. Fall is an ideal time to visit D.C., as many of the tourists have left and temperatures remain mild. Tourism is typically low in winter, meaning groups can take advantage of cheaper hotel prices while admiring the city’s Christmas decorations and lights if they visit in December. D.C. is notorious for its high traffic congestion, confusing roundabouts and expensive parking. 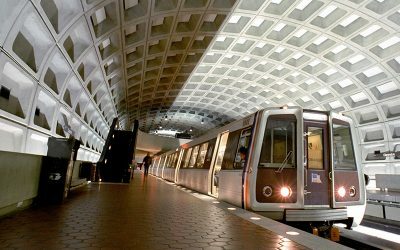 This makes driving around the city time- and money-consuming, so many locals turn to the city’s public transportation, the Washington Metropolitan Area Transit Authority, for its cleanliness, convenience and efficiency. The WMATA includes the Metro subway system, ideal for tourists as it stops at most of the major attractions, and bus service to the Maryland and Virginia suburbs. People can walk or bike to and from most places in the city. Larger groups, of course may have their own bus for getting around. One of the nation’s capital’s best perks is the number of attractions and activities that both locals and visitors can do for free. 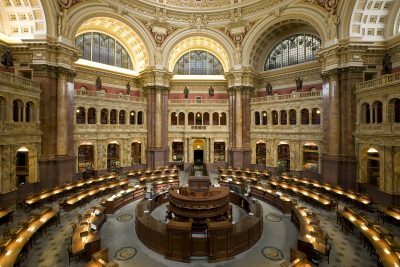 While anyone can visit like the Lincoln Memorial, Jefferson Memorial, Capitol Building, Library of Congress and many other sights for no charge, fewer people know that the city’s world-class museums also offer free admission or discounted rates on certain days. The National Zoo, United States Holocaust Memorial Museum and Smithsonian Institution’s 20 buildings mostly scattered around the National Mall are all free for visitors. Groups should keep in mind that some of these free attractions still require advance planning to visit, such as the White House and places with scheduled tours. Washington, D.C.’s layout was planned as a systematic grid system divided into four quadrants. Understanding both how the streets run and which quadrant you are in is essential to navigating your way around the city. 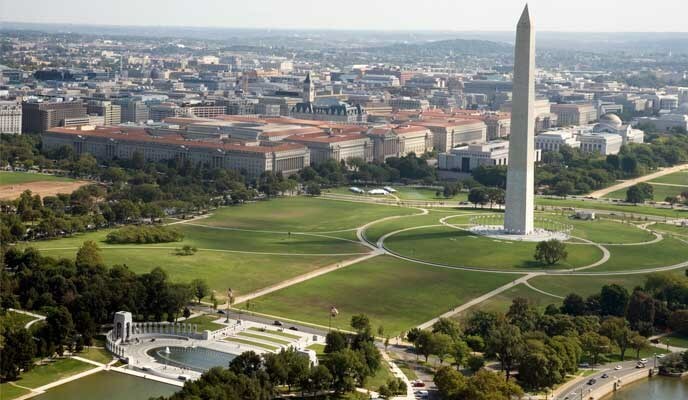 The grid is centered around the Capitol Building, with North Capitol Street, South Capitol Street, East Capitol Street and the National Mall stemming from it in their respective directions, with the National Mall to the west. These invisible lines then divide the city into its northwest, northeast, southwest and southeast quadrants. Streets running east to west horizontally are lettered as H Street, U Street, etc. and streets running north to south are numbered as 1st Street, 2nd Street and so on. Streets that run diagonally through the grid are named after states. Thus, addresses in the city require both the street name and the quadrant abbreviation to specify which of the four possible locations it is referring to. Many people think of D.C. only as the Capitol Hill flurry of politics, corruption and scandal that is stereotyped by popular TV shows and movies, but locals know that the city is so much more than that. While the city is home to famous federal figures and hopeful interns as advertised, it is also heavily populated by a young and optimistic demographic who come to the city for opportunities and stay for the vibrant community they find there. Lately D.C. has become a hotspot for art, music and food-lovers and attracted more creative individuals to the District. Washington, D.C.’s pride lies in its cultural diversity and its distinct neighborhoods that each boast their own character. 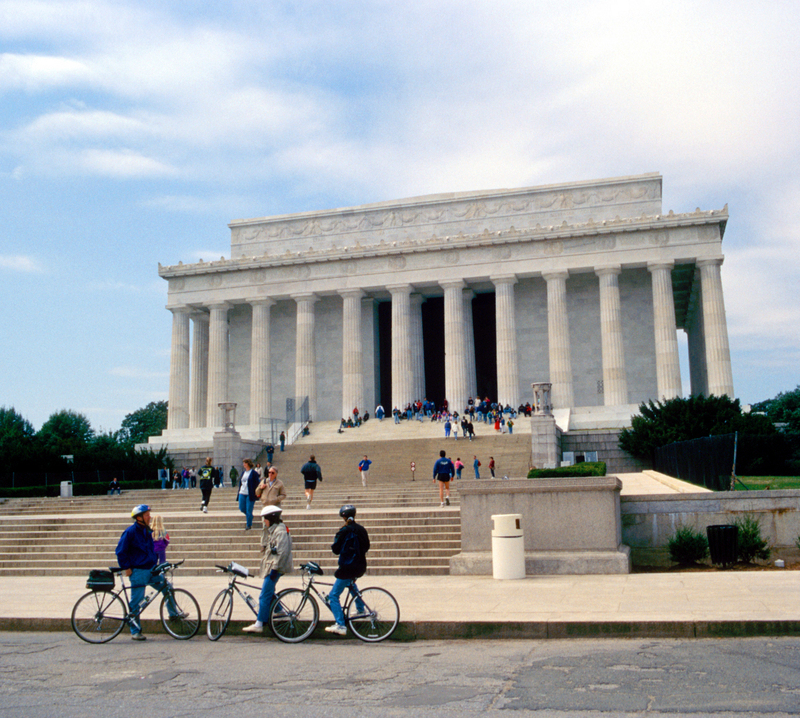 The city’s expansion has caused residents to become increasingly active in advocating for political autonomy and rights for D.C. To experience this recent change firsthand, encourage your students to notice how D.C. is breaking from its past and building its own identity.